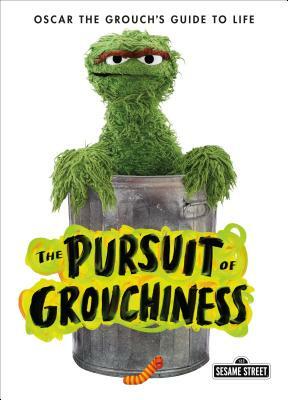 In The Pursuit of Grouchiness, Oscar the Grouch teaches you how to lose friends and grouchily influence people. There’s no greater expert on celebrating a crummy day than Oscar the Grouch. After complaining about cheerfulness for decades from his trash can on Sesame Street, Oscar now shares his secrets for making sure you’re as curmudgeonly as possible, all day, every day. It's the perfect gift for your grouchy friends, your annoyingly upbeat friends who could stand to be a little grouchier, and even just yourself—because a bad day can always get worse. Now get lost! And have a rotten day! For more fun from folks who live on Sesame Street, check out Cookie Monster's The Joy of Cookies and Bert and Ernie's Importance of Being Ernie (and Bert). Oscar the Grouch doesn't need to explain himself to you. He lives in a trash can on Sesame Street.